Across the United States, individuals with severe mental illness are three times more likely to be in a jail or prison than a mental health facility. The American Jail Association estimates that more than 650,000 bookings each year involve persons with mental illness. The national data is very similar to the data for Nashville-Davidson County. Since 2006, the Davidson County Sheriff’s Office has seen a rise in the number of seriously mentally ill individuals entering the local jail system. Metro-Nashville Police have seen an increase in the number of requests for transport of mentally ill individuals who are in need of evaluation. 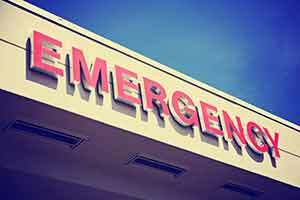 At the same time local Emergency Departments have experienced a significant increase in the number of patients presenting in Emergency Rooms who are in need of mental health services. In an effort to best address these issues, key stakeholders from the mental health and criminal justice systems have collaborated to evaluate existing resources and find ways to improve access to care and decrease the burden on law enforcement and local emergency rooms. As a result of the collaborative efforts of the stakeholder group, Metro-Nashville Government, the Tennessee Department of Mental Health, and the Mental Health Cooperative (MHC) have dedicated 3.5 million dollars to create a Pre-Arrest Diversion program called the Crisis Care Center. The Crisis Care Center will be constructed in Metro Center on land owned by the Mental Health Cooperative (MHC). The facility will be operated by MHC, a non-profit that has 24 years of experience providing crisis and outpatient psychiatric services. Public Safety Improved: An enhancement to public safety via the provision of easily accessible mental health treatment to those in a psychiatric crisis. Police Return to Patrol Faster: A secure drop off location for the police with the goal of having officers back on the streets in 10 minutes. Immediate Access to Specialized Care Under One Roof: A comprehensive crisis delivery system that will allow for immediate access to safe and effective treatment all under one roof. Helps Alleviate Overcrowding of Jails & Emergency Rooms: A community resource that will help alleviate the overcrowding taking place in both jails and emergency departments via the provision of a safe location where treatment can begin. Proven Approach: An approach to crisis utilization and treatment that, when implemented in other locations, has demonstrated significant increases in jail diversion. The creation of the Crisis Care Center is a result of innovative public-private partnership, and cross departmental collaboration that will improve access to care and enhance public safety.